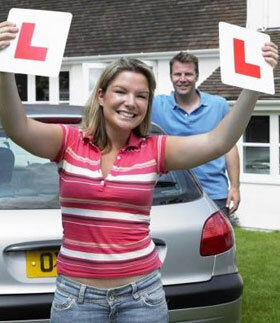 A report by insurance firm Swinton has revealed that as the recession bites, many learner drivers are relying more heavily on informal tuition from friends and relatives. A survey of 1,000 new drivers found that the average number of lessons per driver has fallen from 43 in 2008 to 32 in 2009 (compiled from data taken during the first 3 months of each year). On average, those who passed in March this year received 63 hours of tuition from friends or family, compared to just 41 hours in the first three months of 2008. Steve Chelton, Insurer Development Manager from Swinton, said: “Approved Driving Instructors go through rigorous testing to ensure that they have the skills and knowledge to teach learners to drive safely. We recommend that all learners take professional lessons and only practice with friends or family when the instructor says they are ready. In an attempt to assist learner drivers through the recession, many firms have held their prices or dropped them slightly. But it also paves the way for the poorer, less popular instructors to undercut the more skilled and professional ones by offering ridiculously low lesson prices. More often than not, cheap driving lessons means cheap service. At Latics Driver Training, we are finding increasingly more students coming to us from other companies who have paid for cheap driving lessons (or been duped by many of the ridiculously cheap introductory special deals), but have ended up taking many more lessons than they would otherwise have needed. It’s only when they’ve spent a fortune on many cheap lessons that they realise what a mistake they made. So, when shopping around for driving lessons, ask yourself why some instructors and driving schools are advertising such cheap prices. If they were busy instructors with a good reputation and high pass rates, they wouldn’t need to offer special deals! Everyone is cutting cost. These cuts seem to affect every business.